These two volumes elucidate the manner in which there emerged, on the North China plain, hierarchically structured, functionally specialized social institutions organized on a political and territorial basis during the second millennium b.c. They describe the way in which, during subsequent centuries, these institutes were diffused through much of the rest of North and Central China. Author Paul Wheatley equates the emergence of the ceremonial center, as evidenced in Shang China, with a functional and developmental stage in urban genesis, and substantiates his argument with comparative evidence from the Americas, Mesopotamia, Egypt, Southeast Asia, the Mediterranean, and the Yoruba territories. The Origins and Character of the Ancient Chinese City seeks in small measure to help redress the current imbalance between our knowledge of the contemporary, Western-style city on the one hand, and of the urbanism characteristic of the traditional world on the other. Those aspects of urban theory which have been derived predominantly from the investigation of Western urbanism, are tested against, rather than applied to ancient China. The Origins and Character of the Ancient Chinese City examines the cosmological symbolism of the Chinese city, constructed as a world unto itself. It suggests, with a wealth of argument and evidence, that this cosmo-magical role underpinned the functional unity of the city everywhere, until new bases for urban life began to develop in the Hellenistic world. 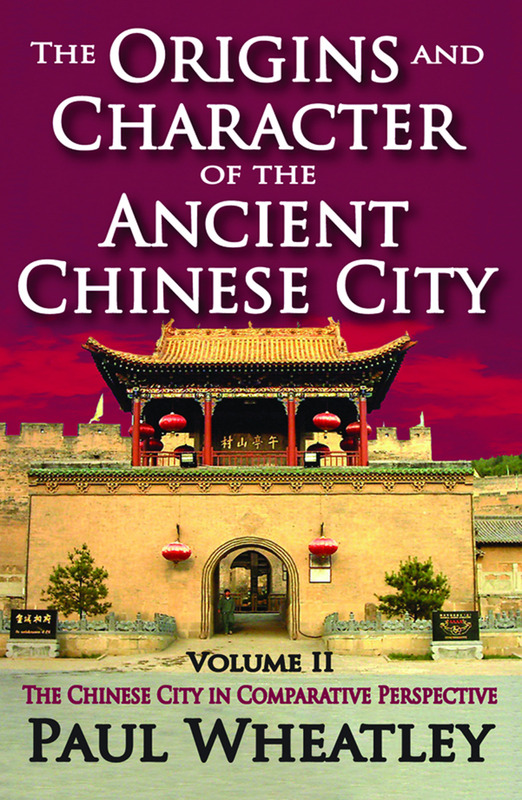 Whereas the majority of previous investigations into the nature of the Chinese city have been undertaken from the standpoint of elites, The Origins and Character of the Ancient Chinese City has adopted a point of view closer to that of the social scientist than the geographer.